Home › Articles › Labour Law › What is the role of a chairperson? What is the role of a chairperson in a disciplinary hearing? The person considering the allegations against the employees and any response thereto, often referred to as the chairperson, should be free of bias against the employees concerned and must keep an open mind before making any decision. 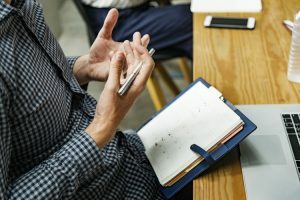 The employer is primarily intent on establishing the facts and is entitled to take a preliminary view on both the facts and the disciplinary action, but must remain open to being persuaded otherwise. If employers establish formal processes through disciplinary codes or in terms of collective agreements, the requirements may be rigorous and more akin to tribunal proceedings. has no personal interest in the outcome or personal or family relationship with the complainant other than an interest in the proper conduct of the employer’s enterprise. The employee has no right to participate in the selection and appointment of the presiding officer. Chairpersons need not preside in the ordinary sense but should act in an investigatory capacity. They should, however, guard against the possibility of creating an impression of bias. Employees who provide adequate reasons for believing that a chairperson is or may be biased, may request the chairperson to withdraw. The appointment of an outside party to preside during an investigation does not necessarily create a perception of bias. readily take into account credible evidence presented by the employees concerned in the process of establishing the facts.